The sun sets behind the Never Summer Mountain Range in Rocky Mountain National Park ending yet another day spectacular day in Rocky Mountain National Park. 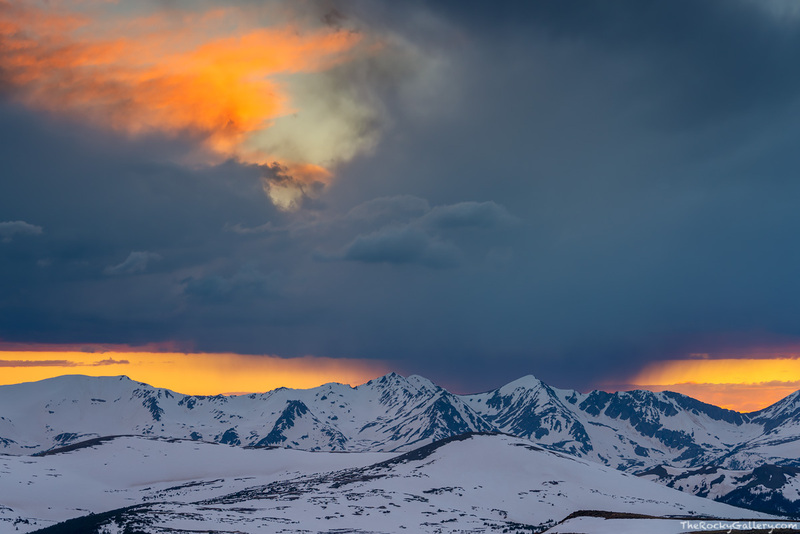 I made this image on an early July evening on Trail Ridge Road and the Gore Range Overlook. There was still plenty of snow to cover both the Never Summer Mountains as well as the alpine tundra above timberline. Photo © copyright by Thomas Mangan.